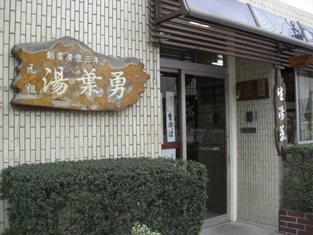 Established in 1867, Yubayu has been specializing in producing and selling fresh and dry Yuba (tofu skin). We retail our Yuba products at the shop as well as providing them to high-class Japanese style restaurants, ryokan (traditional Japanese inns), izakaya (Japanese style pubs), and food wholesalers. We use specially selected domestic soybeans and the underflow water from the clear Nagara River. Every morning, experienced and skilled craftspeople manually produce each one of our Yuba sheets using distinctive techniques with time and care. 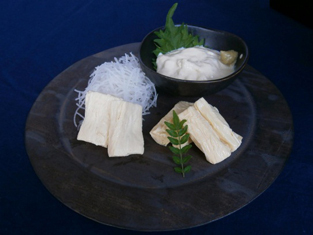 As a Yuba specialty shop, our Yuba products boast a plain but creamy and mild taste and flavor. *Expiration date: 4 days in summer and 7 days in winter. Keep refrigerated. *Eating Yuba is prohibited within the shop. If you come in the morning, you can take okara (soy pulp) for free (while stocks last).